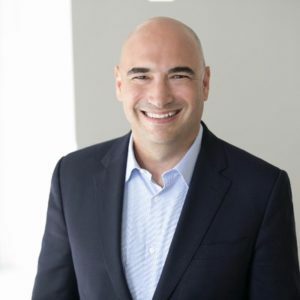 Josh London, CMO, IDG Communications, Inc. Customer experience can define a company and make or break its fortune. Innumerable communication channels present marketers with a fragmented landscape along with heightened customer expectations and diminishing brand loyalty. Gone are the days when marketers had a finite universe of a few favorite web sites, television, radio, print, and out-of-home when trying to reach their audiences. Not only has the media diet changed, the purchase path consumers take is no longer linear, nor can it be prescribed. Instead more careful attention and understanding is required of brands to identify ways to drive sales, build loyalty and retain customers. So where does this leave marketers in a world where customer experience is king? Prioritizing customer experience, experimenting with new ways to tailor marketing by channel and identifying how to maintain a consistent customer experience across channels. Here I will dissect and break down the importance of each in this omni-channel marketing eco-system. Recent industry marketing priority surveys and outlooks highlight the value created by companies that put customer experience first. Forrester predicts that forward-thinking brands will surge ahead of their peers in 2018 by fully embracing consumer-obsessed marketing, while Gartner cites that more than 50% of organizations will redirect their investments to customer experience innovations throughout 2018. Some brands have even discovered that customer experience can be the winning formula to distinguish them from the competition, effectively placing them in a league of their own. Apple, for example, is a brand that can hardly do any wrong in the minds of consumers when it comes to customer experience. When a customer purchases an iPhone, they know what they’re getting – a sleek, easy-to-use, luxury product backed by a superior customer service experience. From the moment a customer walks into a streamlined, modern Apple store, they’re greeted with a smile and assured their technology will work well for years, requiring only the occasional update. If an issue arises, a representative is always on hand to assist at the Genius Bar. Apple’s customer experience aligns directly with its brand, resulting in one clean, unified experience that is felt anywhere and through any channel consumers use to interact with their brand, with each interaction providing an opportunity to delight. While the tech giant’s products are great, their customer service and overall customer experience places them ahead of their competitors. Apple’s example is an important one as it reflects a much more advanced marketing mind shift than the linear strategies of yesteryear. Brands and consumers now co-exist in a living ecosystem that changes by the minute. Discrete message control is a thing of the past, with customers now possessing the capacity to alter the marketing landscape in an instant via social media. With this evolution comes new requirements for channel management, monitoring and reporting as customers remain at the core of business strategies. Whether Alexa, Google Home, WhatsApp, WeChat, Instagram or Snapchat, marketers have a chance to experiment with content tailored to the unique characteristics of each channel, based on medium, demographics, time of day and more. These new channels open up additional audiences and reinforce the need to stay true to their brand essence. One of the most important variables to keep in mind when marketing across channels is your willingness to experiment with new channels when trying to reach your target audience. As new channels emerge, there is a required research and development process that must take place to determine the value that channel can deliver. Marketers are looking at all communication channels to ensure that consistency is being maintained in this crowded market. Trust is built one interaction at a time, and consistency is key. Marketers have taken note and heeded the mandate to delight and differentiate beyond anything that they may have done before. They are expected to meet customer needs without fail, while simultaneously exceeding them through new initiatives and programs, across all channels. We see similar customer trend in both the B2C and B2B markets. According to a recent “IT Role and Influence” study we conducted of more than 750 IT and security decision makers, 71% of respondents cited that they will open an email based on a prior experience with a vendor. Brand familiarity helps but 48% of respondents seeking new solutions are also seeking new vendors. With switching costs lower than ever, improved consumer experience will improve customer loyalty, improve word of mouth marketing, and ultimately increase sales. Channel proliferation and more personalized, holistic marketing initiatives are not excuses for poor marketing, but rather opportunities to build deeper, more connected experiences with consumers on a more consistent basis. It’s imperative for marketers to learn how to leverage multiple channels properly and consistently and to dedicate the resources and time needed to do so. By placing a premium on customer experience, brands can rise above the fray in the crowded media landscape.